Today, July 25th, marks the birthday of England’s first Victorian supermodel, Elizabeth Siddal. Over a century before Twiggy hit swinging London, and 150 years before Tyra Banks began her search for America’s Top Model, English beauty Elizabeth (Lizzie) Siddal was the new face that launched a thousand ships. She was an artist’s model for a group of cutting-edge painters known as the Pre-Raphaelite Brotherhood. In the mid 19th century a group of young painters decided to defy restrictions, throw caution to the wind and break the ceiling of what they thought had become very boring, regulated and prescription art in England. They were led by the rebel stud Dante Gabriel Rossetti. To our post-modern eyes, the PRB paintings might look very staid and classic, but in their own time they were quite shocking. One innovative thing the PRB did was to find their models among common people in the streets. These women were often shop girls or prostitutes. The Brotherhood would transform them into magnificent goddesses. Elizabeth Siddal was one such model. She was born on July 25, 1829 to working class London parents. In her late teens she took a job in a hat shop in Cranbourne Alley. In 1849 Lizzie was ‘discovered’ by PRB artist Walter Deverall, who was working on a painting to depict Shakespeare’s play ‘Twelfth Night’. Deverall needed a model to portray the cross-dressing Viola — in her boy role as Cesario. Elizabeth apparently had the androgynous beauty that was needed for the role. As luck would have it, Deverall’s model for the role of Feste the Fool was fellow painter and notorious bad boy Dante Gabriel Rossetti. Here is the entire panel, Gabriel as the court jester and Lizzie on the far left. When Rossetti and Elizabeth met, sparks flew. Thus began their tumultuous love affair. They became engaged and defied convention by living together for almost ten years. They finally married in 1860. Elizabeth became Gabriel’s chief muse. Reportedly, he painted over a thousand portraits of her. He likened her to Beatrice Portinari, the muse of 13th century writer Dante Alighieri (author of The Divine Comedy.) Dante was also Gabriel’s namesake and he seemed to have recreated their courtly love affair, starring himself as Dante and Lizzie as Beatrice. As torrid as their relationship was, Gabriel’s antics and constant affairs with other models apparently made for a not so smooth ride. Plus, Elizabeth suffered from ill health and eventually became addicted to laudanum. Nonetheless, they were a fascinating couple! The PRB were the revolutionaries of Victorian London and their beautiful models were the ‘it girls’ of the day. Elizabeth was a poet in her own right, and although her poems were never published in her lifetime, I think they are pretty good. Elizabeth posed for many character portraits, but perhaps her most famous one was Ophelia by John Everett Millais. Here she stars as Shakespeare’s tragic character from Hamlet who committed suicide by throwing herself in a river. The image is so lifelike, you almost expect to touch her hands or smell the fragrance of her flowers. In real life, Elizabeth also committed suicide. She became pregnant in 1861, but the baby, a girl, was stillborn. Elizabeth, who also had a long history of depression, then suffered from post-partum and entered a dangerous darkness. She died of a laudanum overdose on February 11, 1862. Although coroners deemed her death an accident, reportedly, Lizzie left a suicide note. Gabriel later destroyed it, as he knew killing oneself in Victorian England was both illegal and immoral, and would have brought scandal upon her family. Now here’s where the story takes a really weird twist! Gabriel, overcome with grief at his wife’s death, buried in her coffin a book of poems he had written to her. Seven years later, in 1869, Gabriel became obsessed with the idea of publishing those poems. He, along with his agent Charles Howell, applied for an order to have Elizabeth’s coffin exhumed. Gabriel, a heavy drinker, may have really gone off the rails at this point. Supposedly he was going blind and was no longer able to paint, and therefore looking to write and publish more poetry. The exhuming of Lizzie’s grave was done (creepily!) in the dead of night, so as not to draw attention. Gabriel was not present, but Charles Howell claimed that Elizabeth, lying in the opened coffin, was still well preserved with her beauty in tact! Also her long red hair had continued to grow, and therefore, Elizabeth’s corpse retained much of her stunning charm! To be fair, laudanum is known to be a great preservative, and Lizzie had plenty of it in her body. Also, she was no stranger to alcohol and other formaldehyde-type drugs. She was a “devoted swallower” of Fowler’s Solution, a so-called complexion improver made from diluted arsenic. Could all these drugs have made for a well preserved Lizzie? There is a folkloric belief that hair and nails can continue to grow after death. 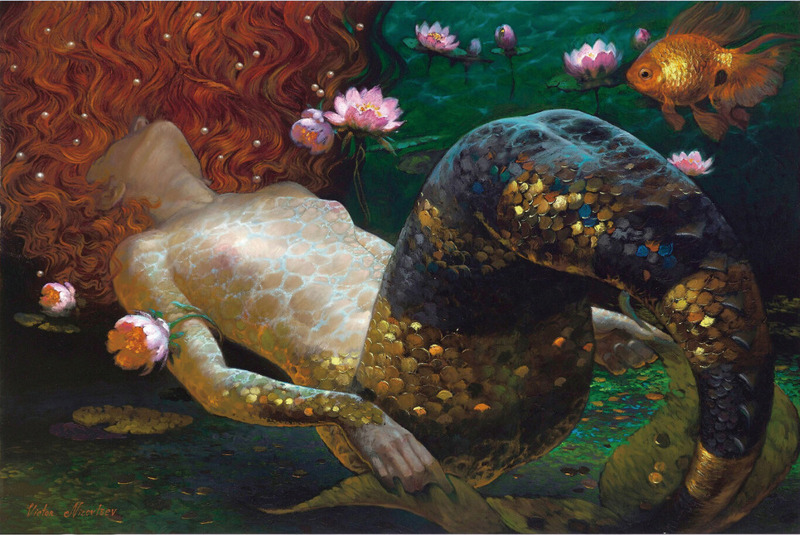 I cannot help but notice another similarity to Shakespeare’s Ophelia. Hamlet — who was Ophelia’s lover — jumped into her grave at her burial, unable to let her go. Whatever one makes of their personal lives, the PRB no doubt left their mark in the art world. They produced some of the most stunning, radiant and thought-provoking works ever created.